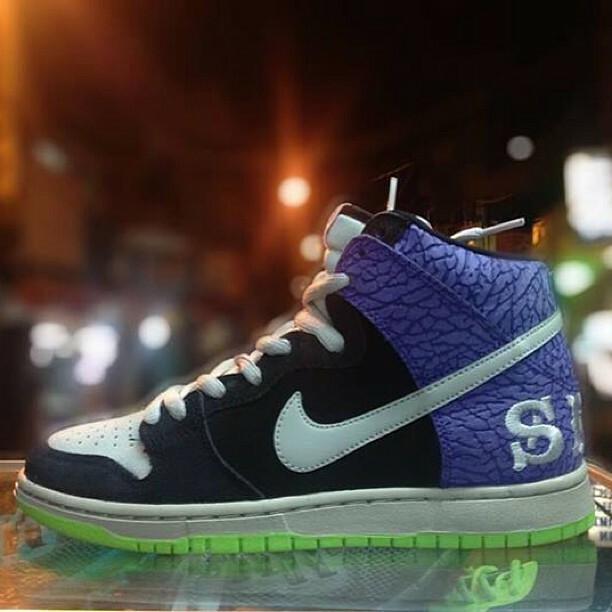 New images surface of the anticipated second "Send Help" Nike SB Dunk High. After a first look at the second Send Help edition of the Nike SB Dunk High last month, we now get a better look at the anticipated sneaker today. 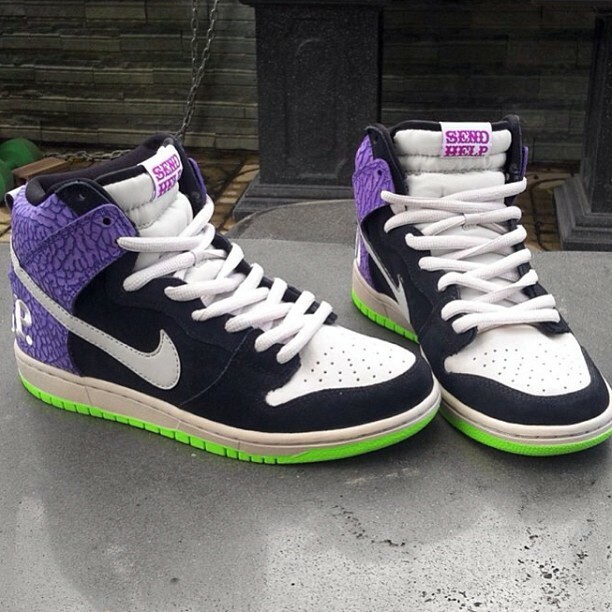 The first "Send Help" Dunk High from 2006 designed by Todd Bratrud has long-been one of the most celebrated SB Dunk High colorways ever, and this second edition aims to have a lasting impact of its own with a unique colorway featuring elephant print texturing in purple at the heel along with black, off-white and lime. 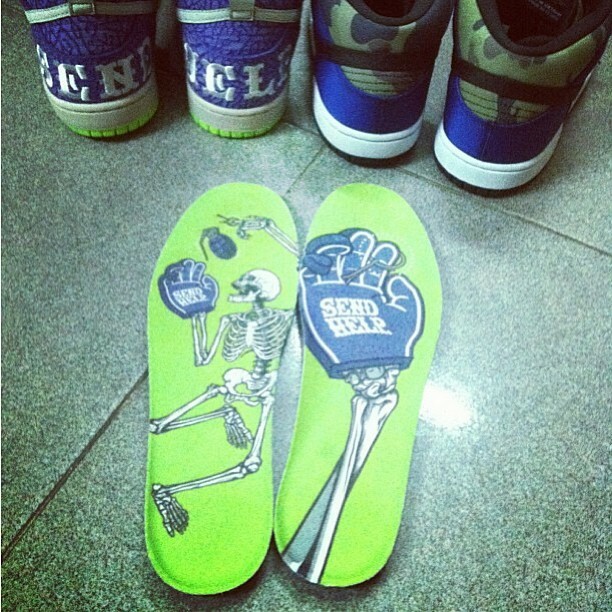 "Send Help" labeling is seen across the heels and the tongue tags, as well as the insoles which get some interesting artwork of their own. Take a closer look at the "Send Help 2" Nike SB Dunk High below, and stay tuned to Sole Collector for official release information as it becomes available.